I love my kale and if you're looking to increase your daily kale quota...then make kale chips! They're so easy to eat and enjoy, especially spiced up with masala! Yum! 1) Preheat oven to 350F. After 10 minutes turn oven off. 2) Finely chop kale. 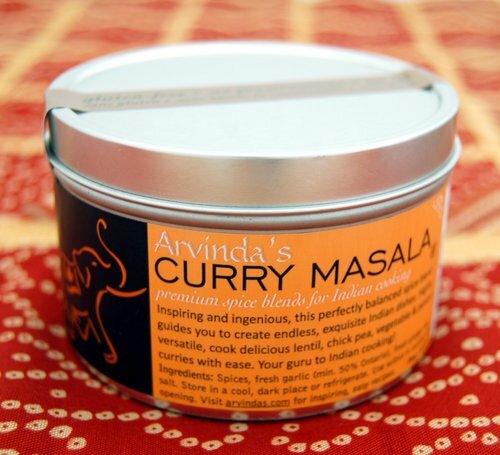 In a large bowl, combine cashews, ARVINDA'S MADRAS MASALA, oil, scallions and garlic. Mix together. Add chopped kale and toss, coating all leaves. 3) Arrange on a baking sheet. Place in warm oven and let sit for 30 minutes to an hour. If they are not crispy put heat up to 200F and bake for 10 minutes.